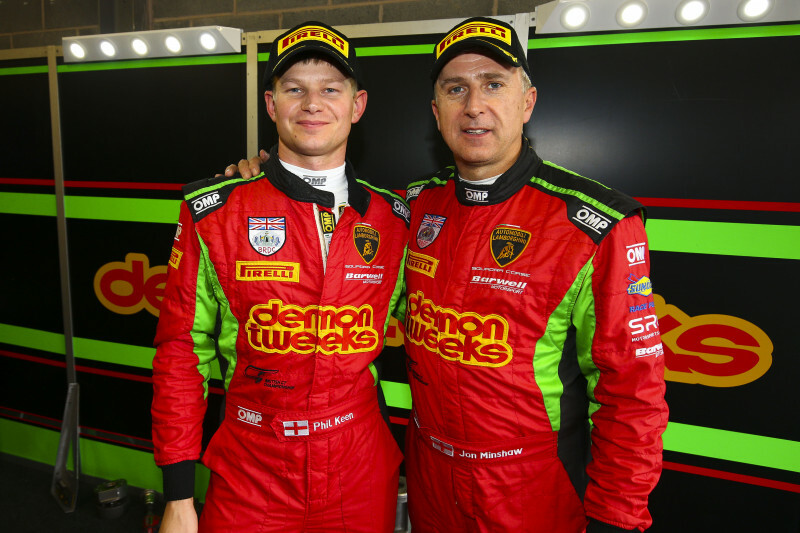 Jon Minshaw and Phil Keen, currently lying second in the GT3 Drivers Standings, qualified the #33 Barwell Motorsport Lamborghini Huracán GT3 on pole position for September 23’s final race of the 2018 British GT Championship. Lining up alongside Minshaw and Keen will be the sister #69 Lamborghini driven by Sam De Haan and Jonny Cocker. 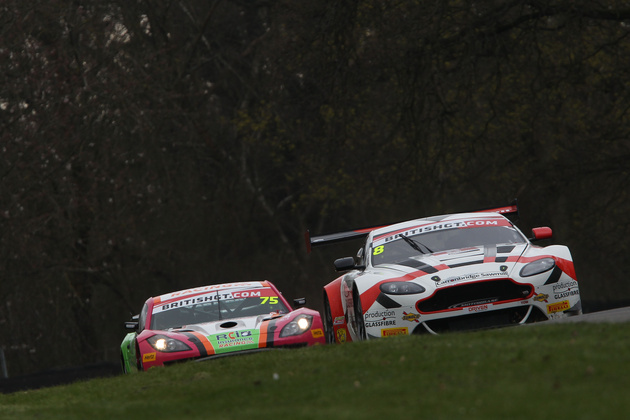 Completing the top three, and the quickest of the Aston Martin V12 Vantages, was the #47 Jetstream Motorsport entry driven by Graham Davidson and Maxime Martin, the Belgian driver returning to the UK’s premier GT championship after a horrific incident at Brands Hatch in the previous round. 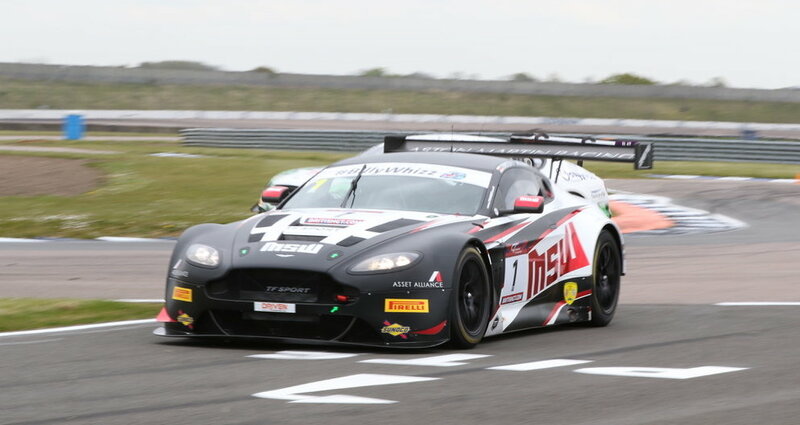 Minshaw set the pace in the first qualifying session, setting a 1.42.180 which was over 1.2 seconds quicker than the #47 Jetstream Motorsport Aston Martin with Graham Davidson at the wheel. Phil Keen consolidated on Minshaw’s work with a 1.39.292, the quickest time of the GT3 Pro qualifying session to produce a cumulative time of 3:21.472, 1.609 seconds quicker than De Haan and Cocker. GT3 drivers standings leader Flick Haigh and Jonny Adam finished fourth overall after Haigh lapped in 1:44.620 and Adam put in a 1:40.255 to produce a cumulative lap time of 3:24.875. 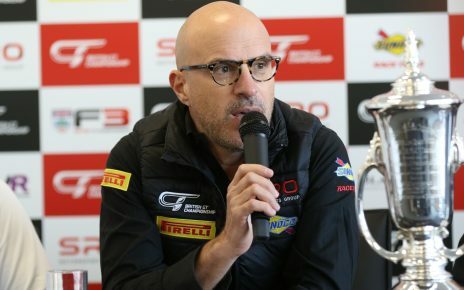 The session began in damp and greasy conditions, allowing the Barwell Motorsport Lamborghinis to show their dominance on a track with marginal grip. Phil Keen was delighted at pole position but not surprised, given the pace of Jon Minshaw in the wet. With championship leaders Flick Haigh and Jonny Adam qualifying in fourth place, Phil Keen believes it bodes well for a competitive race. 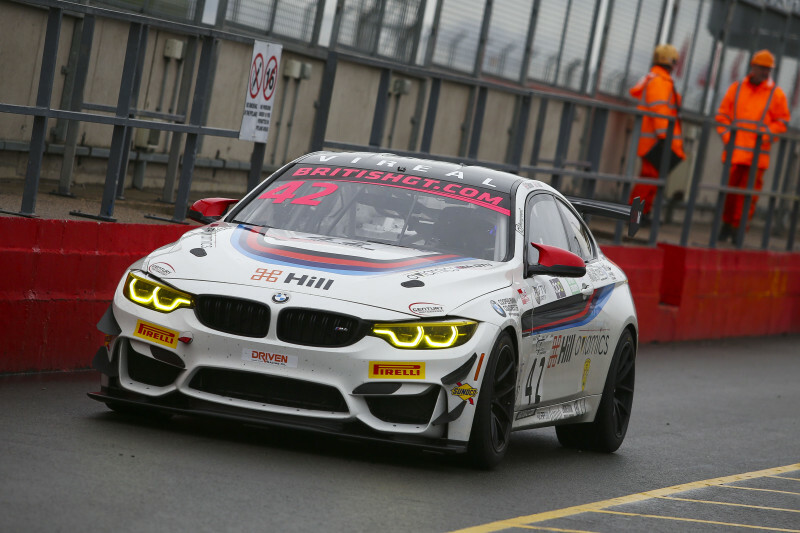 Pole position in the GT4 category went to the #42 Century Motorsport BMW M4 GT4 after Ben Green lapped in 1:47.796 in the first session and teammate Ben Tuck put in a 1.47.175 to set a cumulative time of 3:34.971, .270 seconds quicker than the #10 Equipe Verschuur McLaren 570S GT4 of Finlay Hutchison and Daniel McKay. Third quickest in the GT4 category was the #72 Balfe Motorsport McLaren of Adam Balon and Ben Barnicoat who set a cumulative time of 3:35.495. The lights go out for the final round of the 2018 British GT Championship at 13:35 on Sunday September 23.